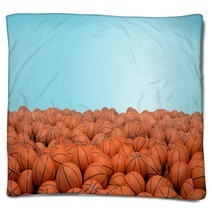 The 3d Rendering Of Endless Pile Of Orange Basketball Balls With Black Stripes Lying In Heap On A Blue Background pattern is conveniently available in a wide selection of decorative products from tapestries, to comforters, to custom size floor mats and custom size curtains, and even toddler duvet covers or hand towels. 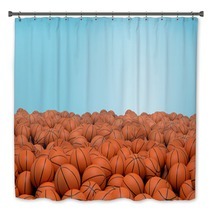 Entire Basketball themed collections are available for your bedroom, bathroom and almost any room in your house. Have you thought about a new look for your entryway? 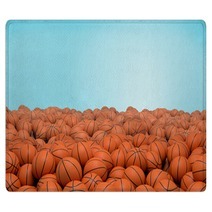 Let us change the background color or any color within this design to ANY color you desire. 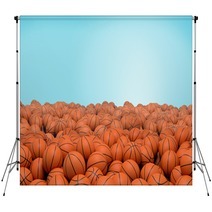 VisionBedding can also print a personalized message anywhere within the design. 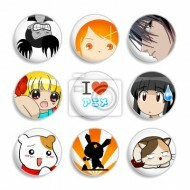 Our customization options are pretty much infinite. 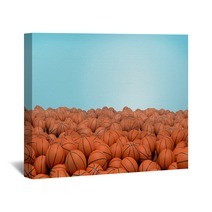 Let us customize the orientation or the central object within this specific 3d Rendering Of Endless Pile Of Orange Basketball Balls With Black Stripes Lying In Heap On A Blue Background design. Many decorators don’t put a lot of time into deciding on pillow cases because so many of them are available in a box with matching sheets. 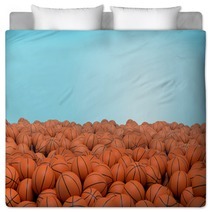 Furthermore, they are barely even noticed because they’re underneath all of the stylish bedding. Nonetheless, pillow cases do more for us than we even know, like supplying a comfortable tier for you to lay your head on while you sleep. 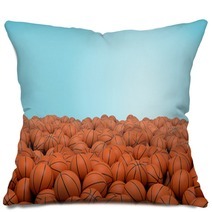 At times, it’s thrilling to enjoy a break from the dullness by incorporating a kick of something unique, even if you’re the only one that sees it when you pull back all the showy pillows. 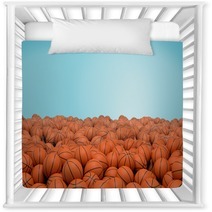 When you use 3d Rendering Of Endless Pile Of Orange Basketball Balls With Black Stripes Lying In Heap On A Blue Background pillow cases, it’s easy to incorporate something fresh with your sheets. 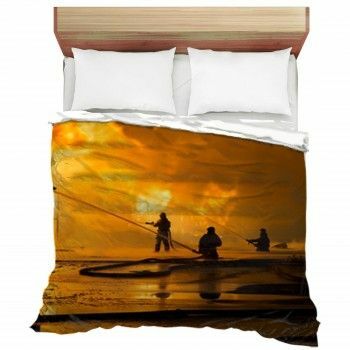 High quality and comfortable, the one difference will be the pillow case’s visual look and the happiness you get when you rest your head on it each night. 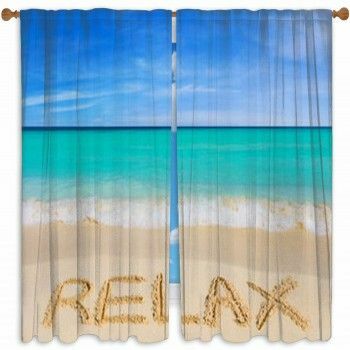 Simple to take on and off and simple to clean, this pillow case will be the single stylish element that you didn’t even know you needed until now. 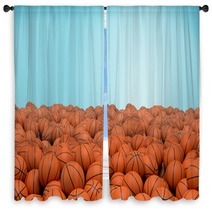 Just as you don’t want to sacrifice creativity for the standards of your new Basketball interior design, you also don’t want to ignore aesthetics. Sometimes, when home stylists pick their designs, they may feel they need to stay with that selection no matter how comfortable that piece really is. 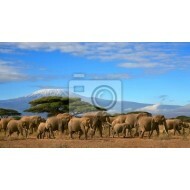 However, it’s okay to move away from your original ideal choice and ensure your house is warm and charming.